Come be composting nerds with us and learn how to maximize your composting returns! Compost tea can have huge benefits to your garden or farm. Learn the theories and practices of compost tea brewing and application. Hands-on learning session with a vortex tea brewer, as well as application! 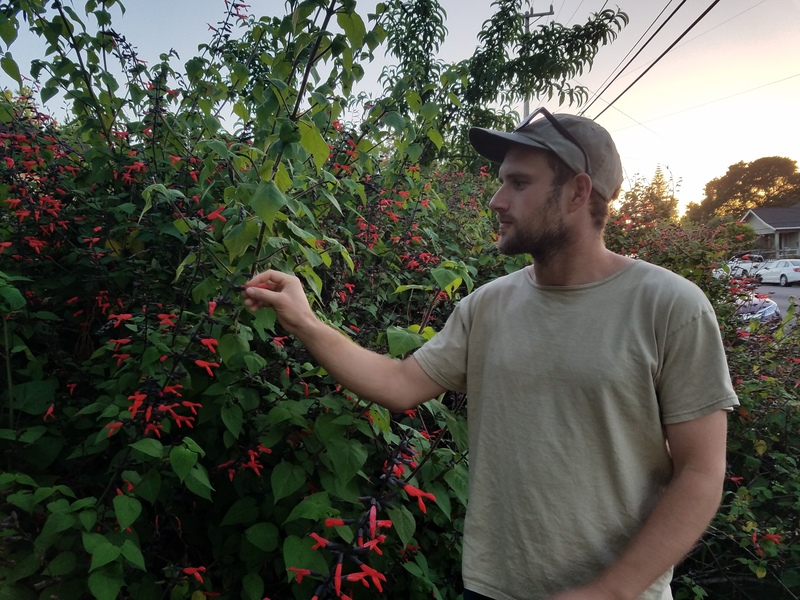 Sam is excited to be working with the Permaculture Skills Center to help model and spread the use of regenerative solutions, permaculture design, and holistic management. He has a diverse background of growing up in Petaluma CA, studying art practice at UC Berkeley, living on a ranch that practiced rotational grazing, and working in landscape contracting focusing on greywater. He wants to help close loops and have integrated management systems that inspire, educate, and connect us all to the land and to our inner ecology. Utilizing an artistic eye with an ecological approach, he strives to help create and maintain a model site displaying the many avenues in which permaculture ethics and principles can be applied to achieve both function and aesthetic form.